Wanting to change up your weekend routine this season with a bit of excitement? Autumn is the perfect time of year for fishing off the North Coast of WA. Don’t let this season pass you by without road tripping the Coral Coast and testing out some of our favourite spots for every type of ocean lover. Here are just a handful of places to visit on your next fishing trip through the Coral Coast. If you love fishing and crabbing, then Jurien Bay is the place for you. There are two well-known jetties for you to set up and cast off but beach fishing is also very popular here with whiting, bream and mulloway being caught year-round. Have your own boat? Jurien Bay offers boating facilities like accessible ramps for you to explore the deeper waters too. 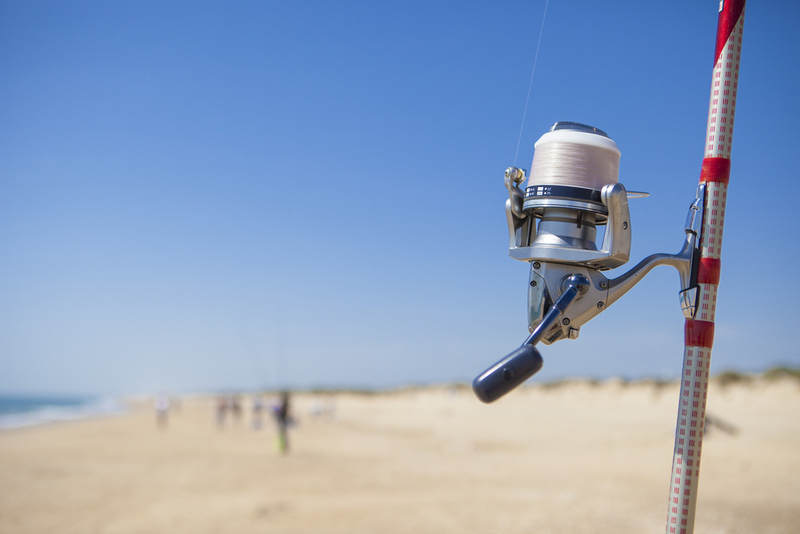 Fishing is a way of life for the residents of Cervantes so it’s no surprise that you’ll find some amazing fishing spots on offer here. Fish from the jetty to catch Herring and Whiting but to experience the best of the oceans, The Lobster Shack Fishing Charter is the way to go. Book a tour with the most passionate and experienced crew in Cervantes for the ultimate fishing trip this weekend. As beautiful as the name suggests, Coral Bay is the ultimate destination for a range of fishing which keeps people returning year after year. If you are lucky enough, take a boat outside of the sanctuary zones to find fish like Mackerel, Cod, Red Emperor and Marlin up for grabs. While a 4WD or a boat will serve you well here, there are still many accessible spots for beach fishing outside of the coral reef. Earning its name as one of the best fishing destinations in the world, Ningaloo Reef in Exmouth offers up so much for every type of fisherman. Anglers visit year-round to test their fly fishing, spear fishing and game fishing skills with large Tuna and Marlin on offer. But for those of you looking to try out some beach fishing, the clear waters of the reef are perfect for spotting species like Red Bass and Spangled Emperor. Geraldton offers a huge variety of fishing from the reef to the beaches, there is Herring and Whiting in abundance here. Fisherman’s Wharf is a popular spot for catching Bream and if you get in before June, you can witness the famous rock lobster fishing fleet. Wanting to get a bit more adventurous? Take a small boat out for the day and try your skills on Abrolhos Islands where some larger species can be seen. All fished out? Hopefully you are cruising back to Perth along the coast with an eski full of hard earned dinner or a belly full of the freshest seafood WA has to offer. Weren’t as lucky? No worries, sample the freshest crayfish in Cervantes at the Lobster Shack after getting up close and personal with the lobsters during the factory tour and plan your return visit to the stunning Coral Coast.